Balhoff Orthodontics offers professional service to our patients like no other orthodontic practice in the Lafayette, LA area. Overall, our services and treatment help create happy patients with beautiful smiles who enjoy visiting our practice. Our patients choose us because they are made to feel special. We treat patients the way we would want to be treated. We get to know our patients, and they become part of our family. We take our time to explain a patient’s orthodontic treatment to both patient and parents, no matter what the patient’s age is. Our patients appreciate that they are included in their treatment and knowledgeable about what is taking place. We arrange for the smoothest treatment for our patients by constantly coordinating and communicating with their general dentists, other dental specialists, and insurance companies. We offer tailor-made, flexible payments options for each patient in order to make our orthodontic treatment as affordable as possible. 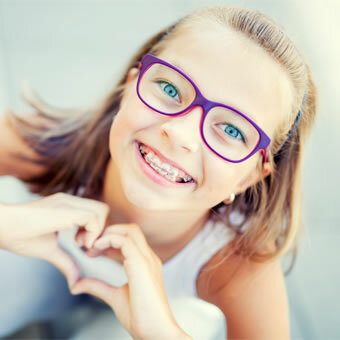 Our high-quality orthodontic care is second to none, because we use the latest orthodontic technology in order to make our treatment incredibly accurate, more comfortable, and faster than the average orthodontic practice. We have a welcoming team that knows our patients and family members by name. We provide a relaxing, comfortable environment with our spacious reception area and treatment clinic. We encourage parents to visit and observe in the treatment clinic as our clinical team shows and explains to our patients and parents what is taking place at each appointment. We provide a fun environment with video game systems, game touch tablets, and frequent office contests and giveaways. Our practice runs on time on a daily basis, and our patients believe and know that we value their time. Balhoff Orthodontics’ top priority is to provide you the highest quality of orthodontic care in a relaxing and professional environment. Dr. Donald B. Balhoff is conveniently located in Lafayette, Louisiana so that no matter what your age or orthodontic needs may be, our qualified and friendly staff is available to help you achieve your perfect smile.